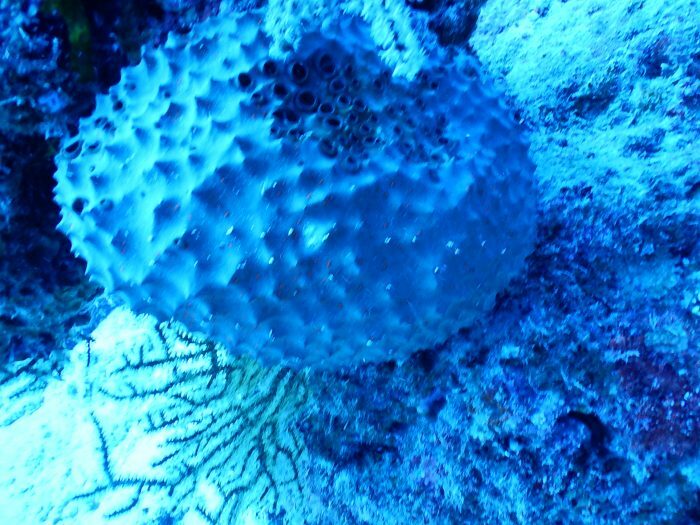 These findings are described in the article entitled Can sponge morphologies act as environmental proxies to biophysical factors in the Great Barrier Reef, Australia? recently published in the journal Ecological Indicators (Ecological Indicators 93 (2018) 1152-1162). 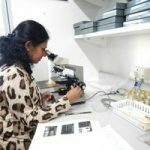 This work was conducted by Anita Mary George from James Cook University and Queensland Museum, Jon Brodie and James Daniell from James Cook University, Angela Capper from James Cook University and Heriot-Watt University, and Michelle Jonker from the Australian Institute of Marine Science. Marine sponges are interesting organisms in the coral reef ecosystem that seems to survive in extreme environmental conditions. Sponges are the simplest and primitive animals that host varied other groups including microorganisms and are popular in producing life-saving “wonder-drugs” for malaria, AIDS, and other deadly diseases like cancer. Several studies suggest that sponges change their shape according to changing biophysical parameters of the ocean. 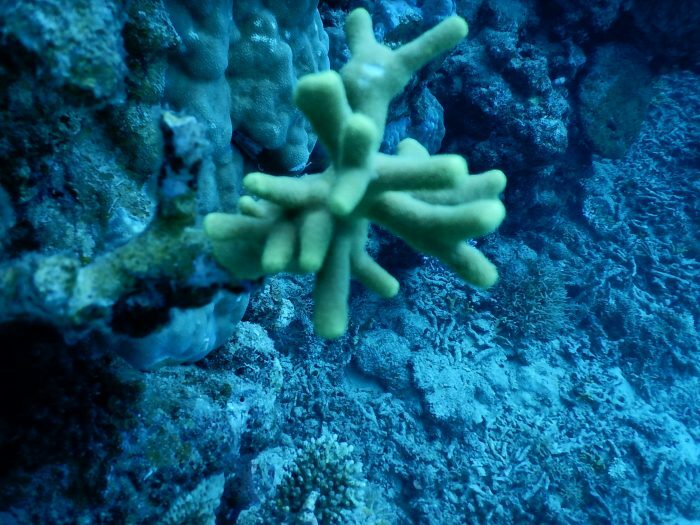 Based on previous studies on sponge growth form changes in a confined environment, it was assumed that sponges can act as ecological indicators to current environmental issues such as climate change, pollution, and coastal creations. Hence, a study was designed with a periodic biennial dataset from 2008 to 2014 of transect images from 28 pairs of reefs from the protected and non-protected areas of six locations (Cairns, Innisfail, Townsville, Pompey, Swain, and Capricorn Bunker) along the Great Barrier Reef (GBR), Northeastern Australia. The transect images were confirmed to sponges and the percent cover of sponges from all 56 reefs was collected for the four years. It was found that sponges were omnipresent in all the surveyed locations while they are spatially diverse (encrusting, upright, massive, cups and tabular growth forms) with more in Innisfail, Townsville, and Pompey compared to Cairns, Swain, and Capricorn Bunker. Also, the biennial observations showed more sponges in 2010 and 2014 which is thought to be influenced by the wind and wave action with respect to the geomorphology of the central GBR. Also, it was thought the after-effects of Cyclone Hamish (2009) and Cyclone Yasi (2011) would have triggered the suspended nutrients that are favorable to these filter-feeders. Further, satellite data of chlorophyll a, current, wave height, and sea surface temperature (SST) were collected from the same locations of the four biennial years (2008, 2010, 2012 and 2014). Correlations of sponge morphological changes with each of the selected biophysical factors were investigated. 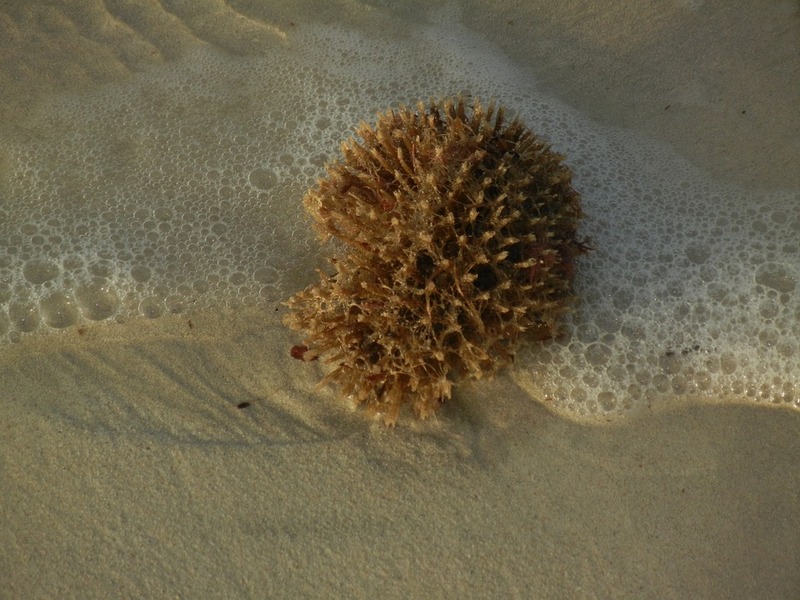 The statistical analysis showed that currents are likely to have some impact on sponge species to change their morphologies to encrusting, upright and massive forms while chlorophyll a, wave height and SST does not affect the sponge morphology. From this study, it is suggested that selected sponge morphologies can indeed act as indicators to adverse environmental conditions. However, more study is required on sedimentation, turbidity, cyclone, and tides are needed to bring more light into this research. Additionally, we recommend that remote-sensed data cannot be used to determine the impacts on sponge growth-forms while field data is widely encouraged. Further, it is suggested that the sponge data from different seasons need to be collected periodically and should be analyzed for determining the variations due to the nutrient influx.